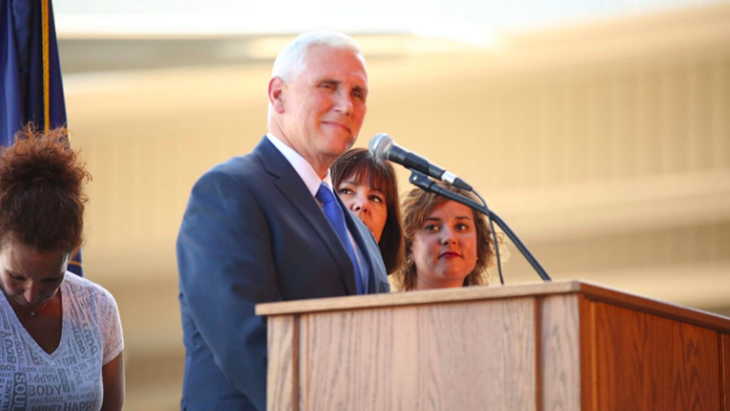 Friday, July 15, Donald Trump announced his choice for Vice-President in his bid for the Republican presidential nomination: Indiana Governor Mike Pence. Those members of the electorate seeking national cannabis reform were left disappointed with the presumptive nominee’s choice. Indiana has some of the toughest marijuana laws in the country. Possession under 30 grams (just over one ounce) is punishable by up to six months in prison and fines up to $5,000. The Hoosier state is still without any kind of medical cannabis program, and the Indiana General Assembly has made no effort to create one after making no progress on any proposed cannabis bill during the entire 2016 session, according to the Marijuana Policy Project. Pence has even actively worked against softening drug crimes in his state. In 2013, House Bill 1006, which in its original form would have reclassified cannabis possession as a Class C offense, was amended to a Class B offense, the second-highest possible misdemeanor charge, after Pence spoke at a news conference. “I think we need to focus on reducing crime, not reducing penalties,” Pence said at the press conference. But while he did allow some easing, the state also amended its minimum time served, increasing it from 50 percent to 75 percent, meaning cannabis offenders will spend roughly the same amount of time behind bars if convicted. Trump, for his part, has been shaky about his stance on the plant. According to OnTheIssues.org, Trump was a proponent of federal legalization of illicit drugs, saying, “you have to take the profit away from these drug czars.” During his presidential campaign, the real estate mogul has instead shifted toward the legalization of medical cannabis. “In terms of marijuana and legalization, I think that should be a state issue, state-by-state,” Trump said at a rally in Nevada last year. “Marijuana is such a big thing. I think medical should happen. And then I really believe we should leave it up to the states,” he said in a Washington Post report.